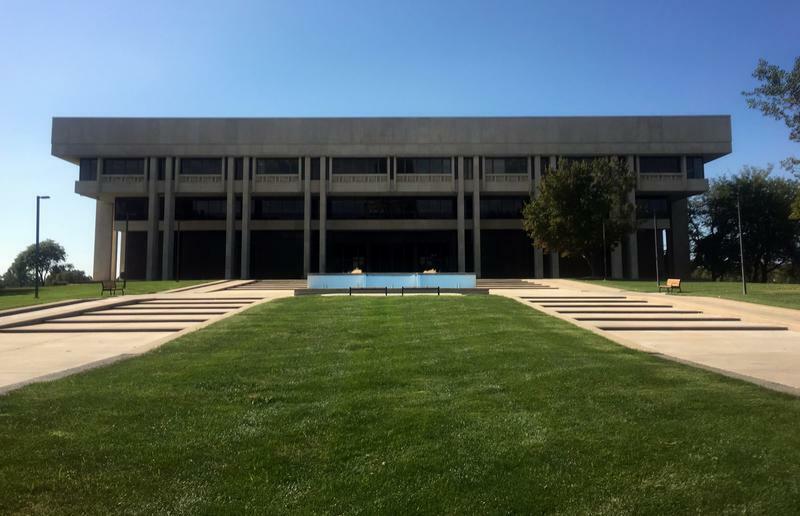 Twenty-two of Kansas' 93 public defenders quit in fiscal year 2018, leaving behind high caseloads, low salaries and poor benefits. From 2015 to 2018, Ivanov was an attorney for the Kansas State Board of Indigents’ Defense Services, the state agency that provides criminal defense to people who can’t afford their own lawyers. He worked in Wichita and Topeka, mostly handling drug cases, assaults, thefts and weapons possession. The job was an invaluable legal education, Ivanov said, but not one he could keep doing forever. He typically juggled between 60 and 90 cases at once and sometimes worked seven days a week. Often, he had to track down and interview witnesses himself, a task typically performed by an investigator — but his office only had one investigator between two dozen attorneys. Ivanov ended up quitting in early 2018, along with 22 of his colleagues who left the agency that fiscal year. That’s a resignation rate of 24 percent, the highest the Board of Indigents’ Defense Services has seen since its creation in 1982, said the agency’s executive director, Pat Scalia. She declined multiple requests for an interview, but she told state lawmakers in February that several public defender offices had to stop taking new cases because they were so overwhelmed. To hire and retain staff, she argued, the agency desperately needs more money. Scalia asked lawmakers for an additional $498,547 in next year’s budget to fund public defender salaries, saying the money would “get our current staff close” to Missouri salaries. Currently, Kansas public defenders with 10 or fewer years of experience make a maximum of $59,850 a year. When they reach 20 years of experience, they make $68,665. Chief defenders make $78,750. Salaries for defenders in Missouri start at $46,992 but increase to more than $70,000 after a few years of experience. Blair Loving, a former public defender now in private practice, said he didn’t feel underpaid while working at the Western Regional Public Defender Office in Garden City. But his new job allows him more control over how much money he makes and when. When he was a public defender at the state’s office in Garden City, he didn’t make any overtime, no matter how long he worked. Yet Loving felt under-compensated in other ways, especially compared to prosecutors, who are employed by city and county governments. His state health insurance was so expensive and covered his family of six so poorly that they had to switch to the insurance his wife received working for Garden City. At one point, Loving managed 68 cases at once. He remembers a colleague juggling more than 80. There were no measures of performance, Loving said. In an email, the executive director of the agency said she doesn’t keep track of how many cases end in acquittals, plea deals, convictions, dismissals or other types of outcomes. Nor are there safety checks, Loving said, for possibly missing important information due to distraction or sleep deprivation. To balance their workloads and long hours, public defenders sometimes ask judges for more time between court proceedings, said Rosalie Joy, a vice president of the National Legal Aid and Defender Association. It’s common for public defender agencies to rely on contracts with private attorneys to fill in the gaps and to take on cases that might pose conflicts of interest, Joy said. But those attorneys may not specialize in criminal defense, so they may not have the same skills or resources as a full-time public defender. According to an annual report to lawmakers, the Kansas Board of Indigents’ Defense Services assigns cases to private counsel when public defenders have a conflict of interest, or when an area of the state is so sparsely populated “it is not cost effective to open a public defender office.” A map shows that only 25 of the state’s 105 counties had full-time public defenders available last year. Out of more than 31,000 cases in fiscal year 2018, the agency handed almost 15,000 to private attorneys who were paid $70 an hour. The average cost per case was $865. For full-time, salaried public defenders, the cost per case was $609. Scalia told lawmakers that so far this fiscal year, 400 cases that normally would have gone to public defenders were instead assigned to private counsel because of heavy workloads, costing the state an extra $130,000. In an email, Scalia said the state is trying to recruit more defenders by posting the jobs on the state website and on free online job boards. She said her agency also recruits through the state’s law schools. Most vacancies are filled within a month. Offices in Salina and Junction City, however, have still been unable to fill vacancies for many months. The public defender office in Olathe is also struggling, she said. So far this year, 16 out of 93 defenders have resigned. There isn’t much reason for defenders to stay after the early stages of their career, said Loving, who quit his job at the Western Regional Public Defender office in November 2017. More than a year after he left, Loving’s old office still hasn’t hired someone new. Instead, it relies on a contract with a private attorney. Nomin Ujiyediin is a reporter for the Kansas News Service, a collaboration of KCUR, Kansas Public Radio, KMUW and High Plains Public Radio covering health, education and politics. You can send her an email at nomin at kcur dot org, or reach her on Twitter @NominUJ. During a confirmation hearing, a group of state senators raised their concerns about the level of support for funding the Kansas public defender system. Questions were raised yesterday during hearings to confirm appointments by Gov. Sam Brownback to various state agency positions. Among them were Paul Eugene Beck and Kevin Mark Smith, who were named to the Board of Indigent Defense. Senator Tim Owens, an Overland Park Republican, asked the pair if they would be willing to press Brownback for funding to keep the public defenders' office functioning. A committee of Kansas judges and attorneys says cities need to reduce the costs of appearing in municipal court. The Kansas Supreme Court appointed the ad hoc committee last September to assess whether the state’s municipal courts impose an unreasonable financial burden on low-income people. A report released Wednesday lists more than a dozen suggestions to reduce or simplify fees, bail and monetary fines that come with being arrested and charged with a crime.